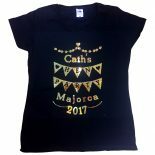 Bunting t-shirt available in a choice of colours. 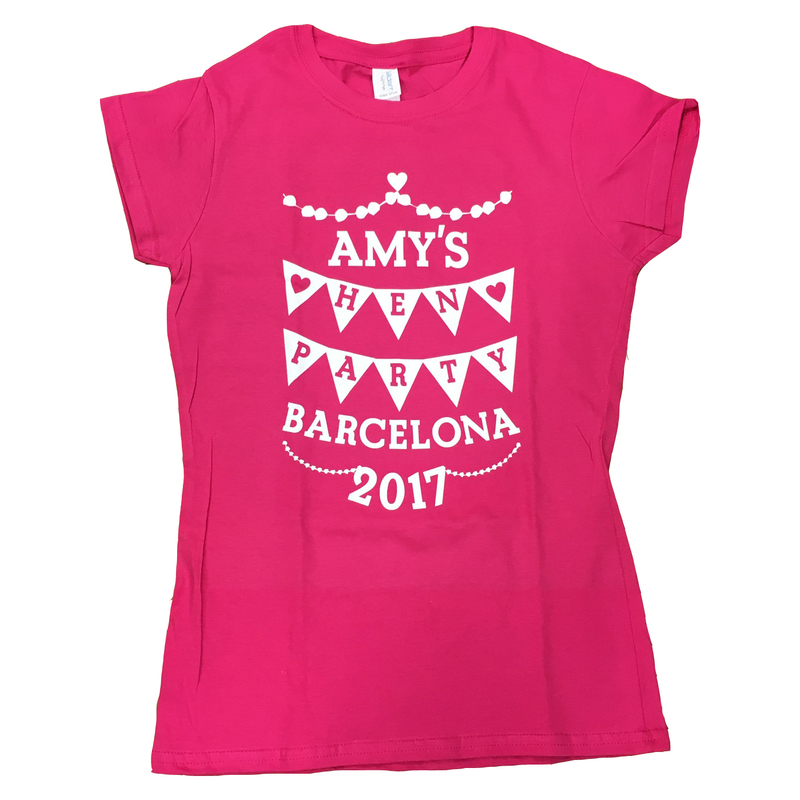 Personalise this t-shirt with a name of the bride and destination on the front and you can also include a name/nickname on the reverse if required. Add your Name & Destination & Year to appear, Hen party comes standard. If required add a name / nickname on the reverse for an extra £2.00. Leave blank if not required. 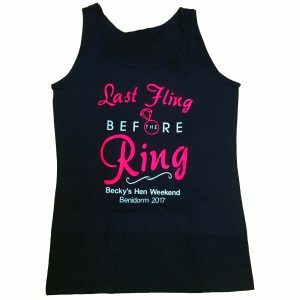 Last fling before the ring t-shirt can be personalised with whos hen party it is and the hen night location.Change the colours also to suit your taste. Goodbye Miss Hello Mrs T-shirt comes as photographed, but you can add personalisation to below the design if required. 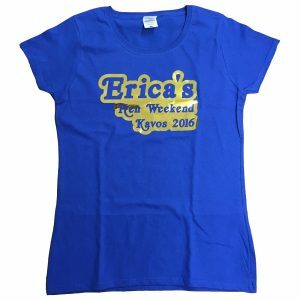 Outline font t-shirt is a basic but effective font design. 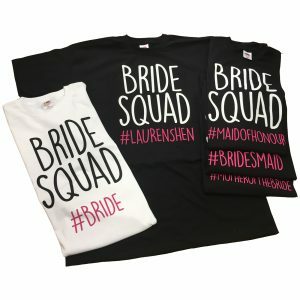 You can personalise this t-shirt with any wording and make it a bubble outline effect great for simple hen party t-shirts. 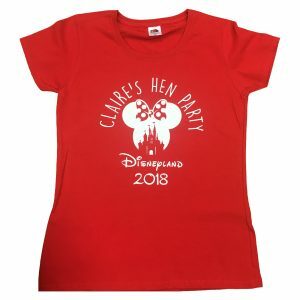 Disney Minnie Castle tshirt can be personalied with the details of your very own hen. This great design bring together Minnie & the disney castle together as a silhouette. 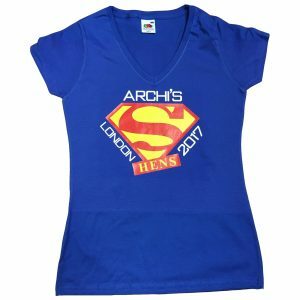 Super Hens t-shirt available in a choice of colours. 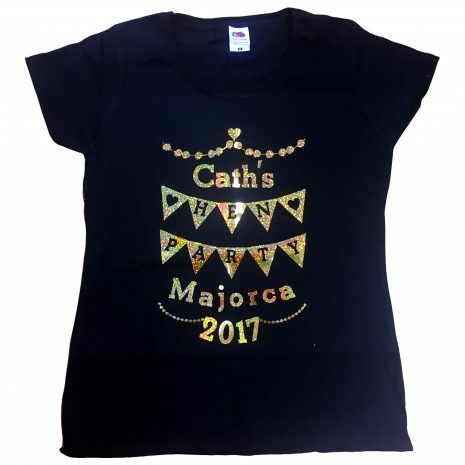 Personalise this t-shirt with a name of the bride, destination & year on the front and you can also include a name/nickname on the reverse if required. 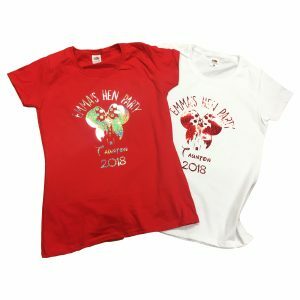 Please note the super hens comes in Red/yellow print and the colour option is to change the surrounding wording and will also be used for the reverse. The only way is t-shirt is a spin off the only was is Essex. 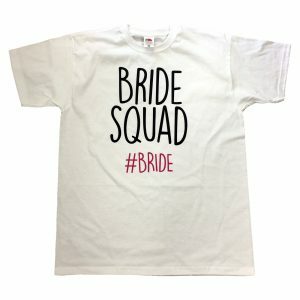 Personalise this shirt with you own location i.e the only way is Ibiza and then whos hen party it is. Script Heart T-shirt can be personalied by changing the name of the hen and location to suite your hen party.